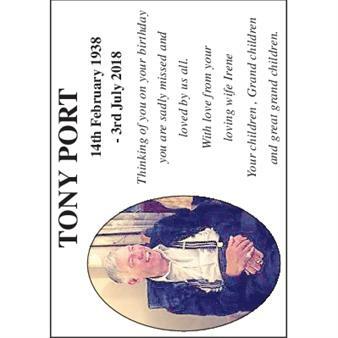 Originally printed on February 8, 2019 in the Romford Recorder. 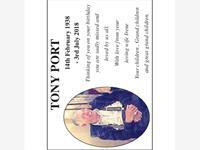 Tony Port 14th February 1938 - 3rd July 2018 Thinking of you on your birthday you are sadly missed and loved by us all. With love from your loving wife Irene Your children , Grand children and great grand children.